Many homeowners turn to spray foam insulation to help waterproof areas of their home. It’s a relatively quick solution that can be less costly than alternatives. It’s also very thorough, with the potential for big effects on your home’s energy efficiency. However, when it comes to moisture control, spray foam insulation can lead to a major issue. If it’s applied to an entire sub-floor, water leaks can invade the area and become trapped. Like any area of your home, standing water will wreak havoc until it’s removed. Unfortunately, water trapped in foam insulated areas of your home aren’t always easy to identify or access! You’ll ultimately experience issues with mold growth and possibly wood rot. You may not even realize what’s happening until the damage is so far along that the repairs would be thousands of dollars! Another common insulation solution for homes is fiberglass. The lightweight material is exceptional at insulating areas of your home, sparing you heat loss and big energy bills. However, like foam insulation, fiberglass isn’t safe for your crawl space. The design of fiberglass gives it the ability to absorb moisture. If high humidity or moisture levels invade your crawl space, mold is inevitable. The mold can grow on damp fiberglass and easily move to other surfaces around it. One other issue of fiberglass is that, when placed in the sub-floor, the extra weight from absorbing water can displace it. If it begins to sink, the spaces can fill with more moisture. Even worse, these gaps are ideal hiding places for insects and other invasive pests! More air is always a good thing, right? No! In a crawl space, increased air flow can just allow moisture in that won’t have a good way to get out. Vents in a crawl space should be covered completely. Leaving them open or uncovered will encourage moisture invasion, leading to the typical issues of mold or pests. A crawl space, uniquely, should be closed off as well as possible. Is your crawl space well-protected from moisture? If your house has poor drainage, it may not matter! 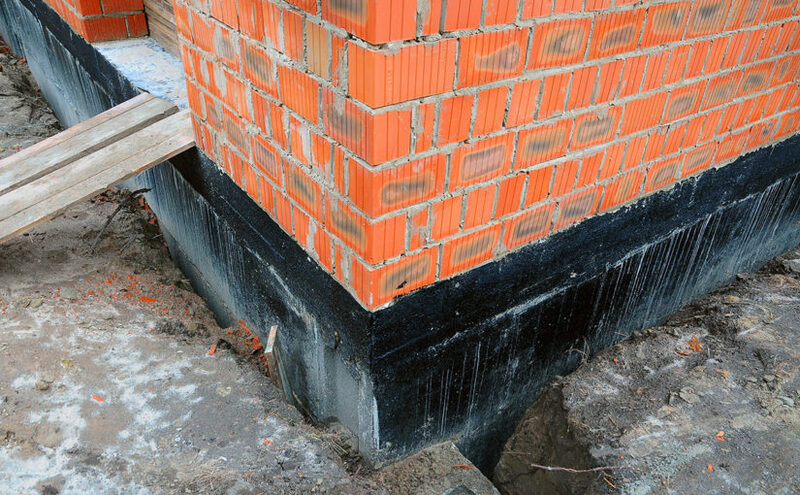 Even great waterproofing can be undermined by extremely poor drainage. Groundwater and rainwater pooling against the side of your home can lead to cracks and damage that lets water in. Once it gets into your crawl space, it can be difficult to remove, especially if you haven’t taken steps to waterproofing the interior. This drainage will continue to let water seep in until it’s corrected. The longer you wait to fix it, the more damage you’ll have to repair when you finally do. It’s best to approach the problem head on as soon as you recognize the risk. The first step of waterproofing your crawl space is to actually seal the entire area. A waterproofing expert will use a polyethylene barrier to line the crawl space, typically covering most or every surface. The floors and walls are always sealed, and in many cases, the ceiling will be too. The more surfaces that are covered, the more protection your crawl space will have from invading moisture. 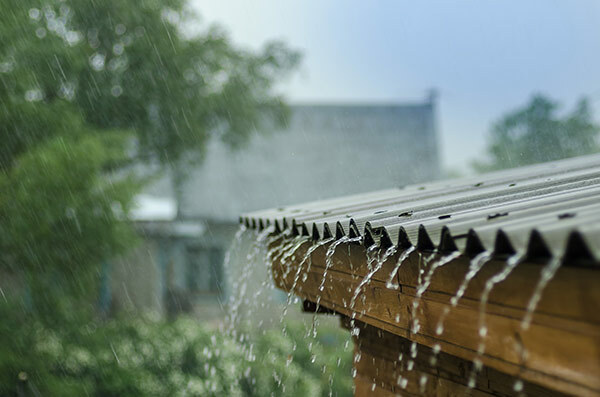 The best way to protect your home from moisture damage is to expect the best, but plan for the worst. Areas at risk of flooding or homes that experience heavy rainfall and drainage issues are typically at risk for taking on water. A sump pump helps eject water from your crawl space if it finds its way in. We recommend a sump pump that has a battery back-up. In many cases, flooding is associated with storms, which commonly knock out power for homes or entire blocks. If your sump pump requires your home to have power, it won’t protect you when you need it most. Back-up batteries will allow your sump pump to pull water from your home while you or your power company work on reestablishing power. Moisture in the air in your home is inevitable. Even if less humid areas of the world, the humidity that does exist will typically find its way to your basement and crawl space. A dehumidifier will help regulate the moisture and prevent a build-up in the crawl space. While moisture in the air doesn’t seem like an issue, it surprises many homeowners how quickly a little humidity can lead to issues in their basements! Without a dehumidifier, your encapsulation could trap moisture inside as well as it keeps it out. The best way to keep your crawl space dry is with professional waterproofing. EverDry Toledo can help with a FREE 20-point basement inspection! We’ll help you find out if your home is at risk for water damage and which solutions will best serve you.